I'm sure it's obvious to many of you that video is here to stay. For those of you still on the fence, here is a staggering statistic. By 2021, 82% of all internet traffic is expected to be videos, of which, I predict at least 25% being reaction videos to other reaction videos (so meta!). For perspective, Cisco predicts that it would take around 5 million years to watch all the video that will cross IP networks each month in 2021. If I still haven't convinced you that video marketing is fundamental, this infographic should do the trick. Moral of the story: consumers are flocking to video in droves. As marketers, we must meet our users where they are. Below, I go into detail about the future of video marketing and how you can prepare your video marketing strategy accordingly. As video consumption drives forward, mobile rides shotgun. Mobile video traffic is predicted to more than triple across the globe. As everyday consumers, we see first-hand the pervasive nature of mobile. We reach into our pockets for anything that can be mistaken for a vibrate. We conduct security pat-downs on ourselves if we can't find out phone after .3 seconds (is that just me?). As marketers, we hear "mobile-first" so often we may forget how significant it is. A growing trend in mobile video consumption is vertical video. Gone are the days when viewers turn their phones horizontally to watch funny cat fails. Whether this is a product of screen size growth, increases in media consumption, other external factors, or some combination isn't quite clear. What is clear is that with 90% of mobile usage in portrait mode, marketers must align their video marketing strategies with vertical. Here's a great resource to help you align with vertical. In the mobile landscape, there is now less time to connect with your customers. According to Visible Measures, you have 10 seconds to engage your viewer. Google calls these short periods of time micro-moments and has a developed a comprehensive guide for micro-moment marketing. These micro-moments differ depending on context, including video viewing. 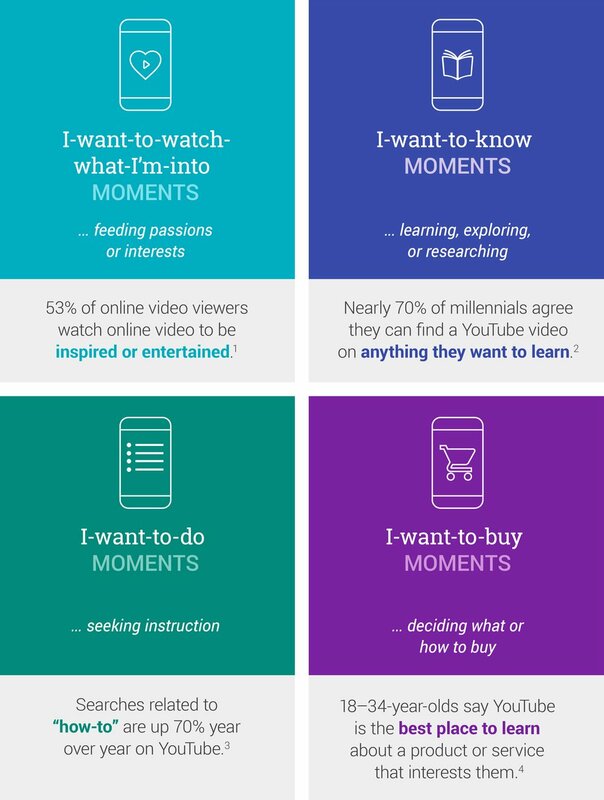 Google breaks video micro-moments into 4 categories: I-want-to-watch-what-I'm-into, I-want-to-know, I-want-to-do, and I-want-to-buy moments. These moments arise everywhere, from browsing google to seeing your ads on Facebook. Proper capitalization of these moments drives real results even with such infinitesimal amounts of time. It is crucial to understand how your offering integrates with these moments to ensure proper creation and distribution of content. Geolocation refers to the identification of the real-world location of a person or object. There has been a lot of marketing buzz around the term because of its versatility. It can be used to segment by geography on a hyper-local level or to target customers in their real-world micro-moments. The potential of geolocation in video marketing is limited only by one's imagination. I will only be discussing geofencing, because of its relation to video marketing. If you are interested in reading more about geolocation marketing, here is a good place to start. Geofencing refers to the creation of a zone around a location, usually a business, for advertisement targeting. It allows marketers to better identify micro-moments in the buyer's journey and capitalize on them. For example, pretend you are in line for Astro Blasters at Disney's California Adventures. The line is long so you decide to kill time by watching YouTube videos. At the beginning of the video, an ad for the Pixar Pier gift shop shows you a cool Buzz Lightyear toy for sale right next door. Though this campaign is fictional, you can see how this level of targetability could greatly improve marketers' abilities to provide value. Live video growth is accelerating. Why should you care? Enjoyment of a live video increases brand awareness by 139% and sales intent by 97%. As a marketer, this means more engagement and better lead nurturing. I'm sure most of you have heard all about the benefits of live video so we will jump right into a growing trend and how you can prepare to incorporate it into your video marketing strategy. I know that is a mouthful even when you are just reading it in your head, but it's important. It's a growing trend in live video that invites the audience to participate and dictate the content. As the late, great Confucius said (allegedly) "Tell me and I will forget, show me and I may remember; involve me and I will understand." Every single day, advertisements bark at us what to buy. The engagement mass participation live streaming provides creates authenticity, while aligning with changing consumer expectations. What is interactive video? Well, it's more than just a Buzzfeed video quiz asking "What kind of pasta noodle are you?" I'm a penne noodle in case you were wondering. Interactive video constitutes a wide variety of engaging video content and provides an array of benefits for marketers. One major type of interactive video that has quickly grown in popularity is 360 video. While 360 video could classify as interactive or immersive video content. I have included it in interactive because of its usability on mobile devices (see 360's role in immersive content.) These videos easily blend into a mobile Facebook timeline nudging users to shift their thumb from swiping up, to swiping in all directions. Most of you no doubt know how cool these 360 videos can be. The technology encourages user engagement and doesn't require viewers to own expensive hardware (well except a computer or smartphone.) The potential of 360 videos is exciting for both viewers and creators. How does interactive content align? How does 360 video specifically align? Buzzword alert! Nearly every single industry is being disrupted by the advent of artificial intelligence. Marketing is no different. Though many of us may only have a surface level understanding of AI (myself included), we must understand how it will impact our industries. Though the applications of AI in video marketing seem nearly endless I would like to focus on content creation. Companies such as Magisto are using AI to quickly develop, deploy, and test video. Essentially, agile video marketing. Ongoing testing will allow marketers to optimize their video marketing campaigns more efficiently. This streamlined process has the potential to flip the table on current video marketing production. With faster processes, comes a reduction in costs, lowering the barriers to entry. We should expect AI to open the playing field making our markets more competitive. The global market for virtual and augmented reality is projected to be worth $94.4 billion by 2023. For marketers, this means new storytelling opportunities in the form of immersive content. The development of this content requires more from its creators, but has major potential for engaging potential customers. What will virtual reality marketing look like? VR marketing won't simply be advertisements that individuals can interact with. VR marketing will be about creating an experience for customers that feels natural. As marketers, we already understand the benefits of experiential marketing. Virtual reality will mainly be the distribution of such experiences to a wider audience. Earlier, I spoke about 360 video as interactive content. However, as virtual reality kits enter the mainstream, these videos will find their place outside of mobile scrolling: in the virtual world. The distinction content creators need to be aware of is "optimization for mobile" will be the key to interactive success and the "focus on experience" will be the key VR success. Pokemon Go and Snapchat lenses have paved the way for augmented reality in marketing. Though many of us have undoubtedly sent a silly snapchat and/or tried to catch Pikachus at the park, the trends in the AR landscape may still be unclear. Augmented reality is being utilized to sample products, gamify shopping experiences, and as a distribution network of information. However, these are just a few trees in the forest. Creating AR experiences will continue to evolve. It is imperative for marketers to keep up with the latest trends and think outside the box (preaching to the choir, I know). As video continues to dominate media consumption, video marketing grows increasingly saturated. The need to stand out is more important than ever, but also more difficult than ever. Since we know what media our customer are consuming it should be easy to meet them where they are right? Unfortunately, as new platforms gain popularity viewing audiences continue to fragment. How do we stand out in such a saturated and fragmented marketplace? While there is no panacea, I do have a few suggestions. Expect big changes in the video marketing landscape. With the challenges of change also come great opportunities. I hope this article has given you a broad overview of what to expect in the future. I must stress that this is not an exhaustive list. Unfortunately, I don't have a working crystal ball. Being a marketer you have already accepted the creativity, adaptability, and grit that your job demands (not too mention the lack of appreciation). Utilize this list along with your own expertise, experience, and data to prepare your company for the future of video marketing. Good luck! 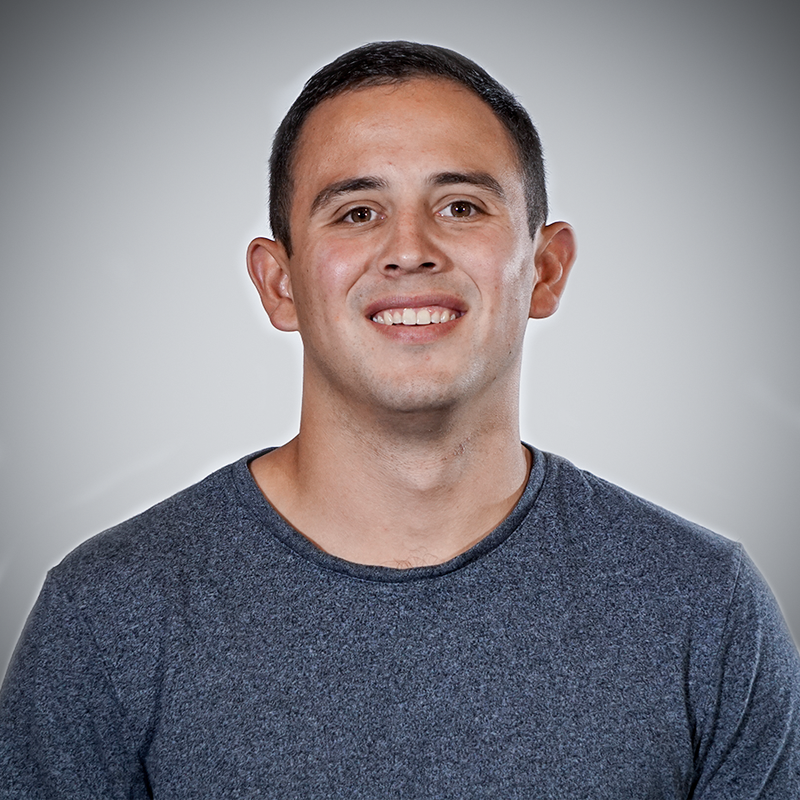 As a former entrepreneur, John-Michael uses his insights when developing strategy. His love for storytelling weaves itself into his work, supporting the larger, strategical narrative. When he isn't working, you can expect to find him playing mediocre piano (his words) or at a concert.